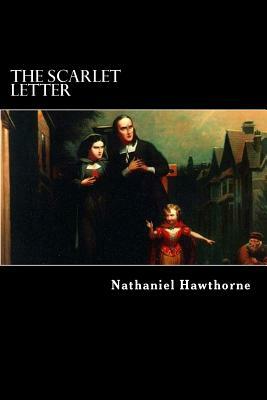 The Scarlet Letter is an 1850 romantic work of fiction in a historical setting, written by Nathaniel Hawthorne. It is considered to be his magnum opus. Set in 17th-century Puritan Boston, Massachusetts during the years 1642 to 1649, it tells the story of Hester Prynne, who conceives a daughter through an adulterous affair and struggles to create a new life of repentance and dignity. Throughout the book, Hawthorne explores themes of legalism, sin, and guilt. Nathaniel Hawthorne (born Nathaniel Hathorne; July 4, 1804 - May 19, 1864) was an American novelist and short story writer. He was born in 1804 in Salem, Massachusetts to Nathaniel Hathorne and the former Elizabeth Clarke Manning. His ancestors include John Hathorne, the only judge involved in the Salem witch trials who never repented of his actions. Much of Hawthorne's writing centers on New England, many works featuring moral allegories with a Puritan inspiration. His fiction works are considered part of the Romantic movement and, more specifically, Dark romanticism. His themes often center on the inherent evil and sin of humanity, and his works often have moral messages and deep psychological complexity.